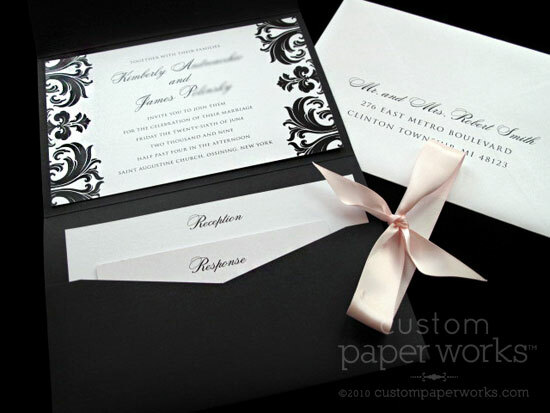 Professionally constructed with high-quality stationery-grade papers in formal, elegant styles or fun, whimsical, modern designs. 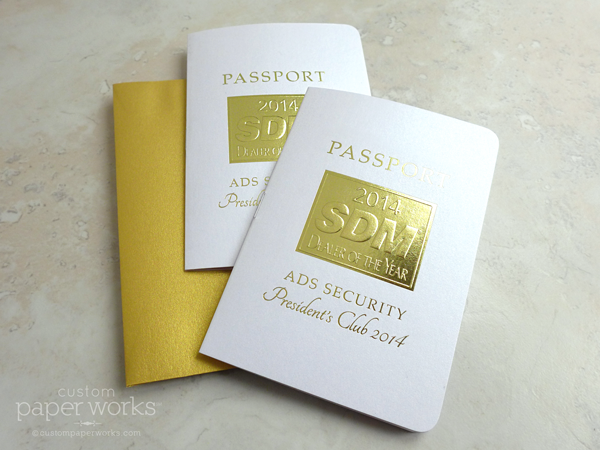 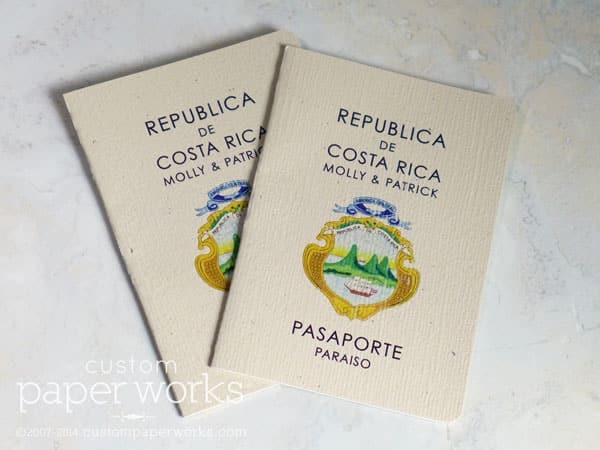 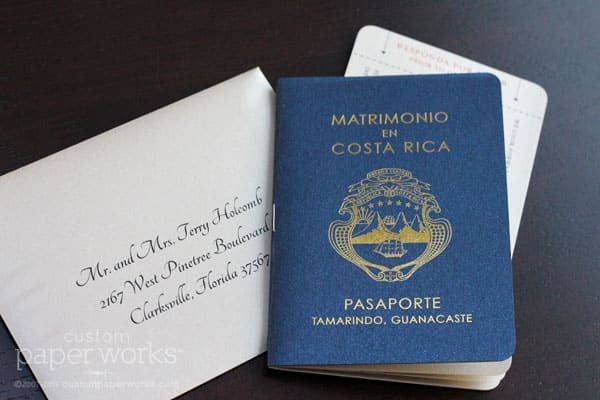 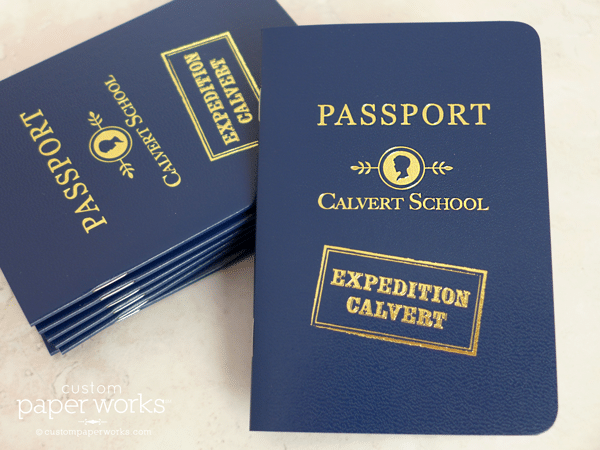 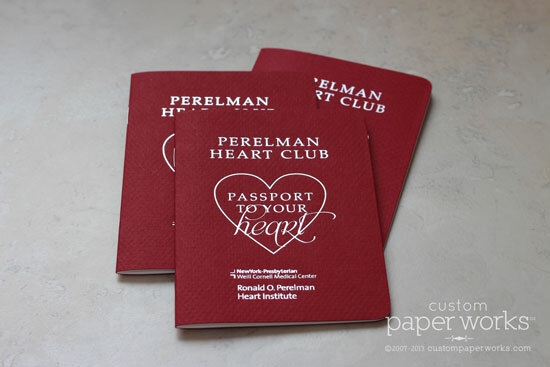 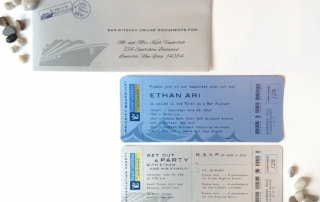 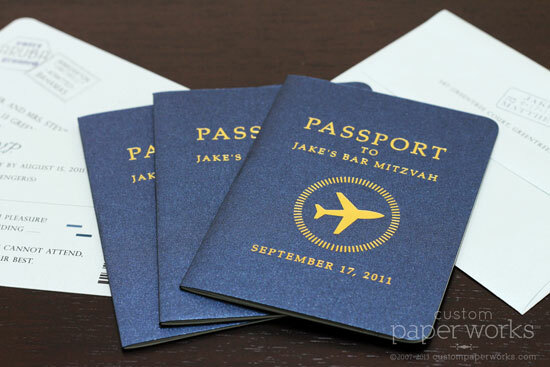 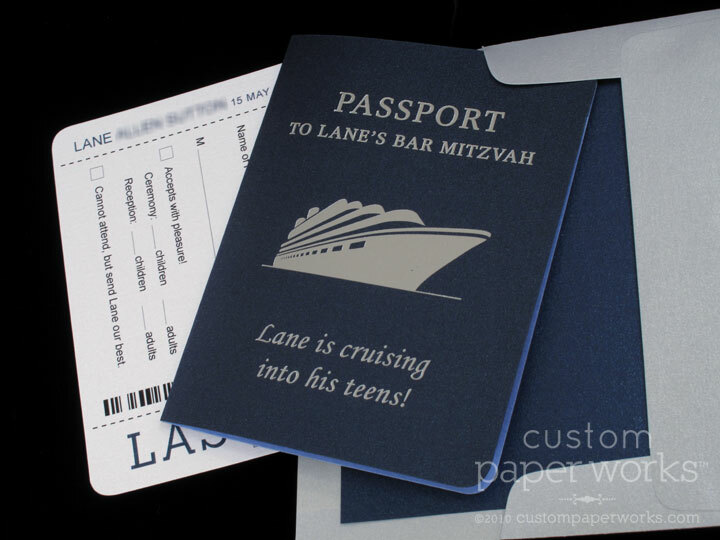 Passport & Boarding Pass Invitations for worldly Mitzvah celebrations. 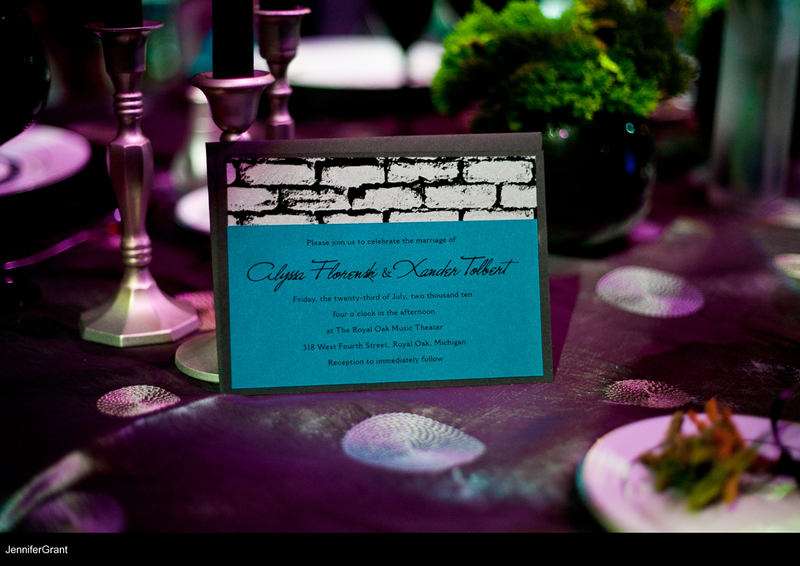 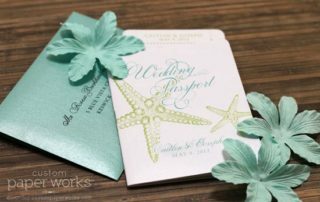 Great inspiration for Sweet Sixteen, Quinceañera and Birthday Parties with travel, destination, or aviation themes. 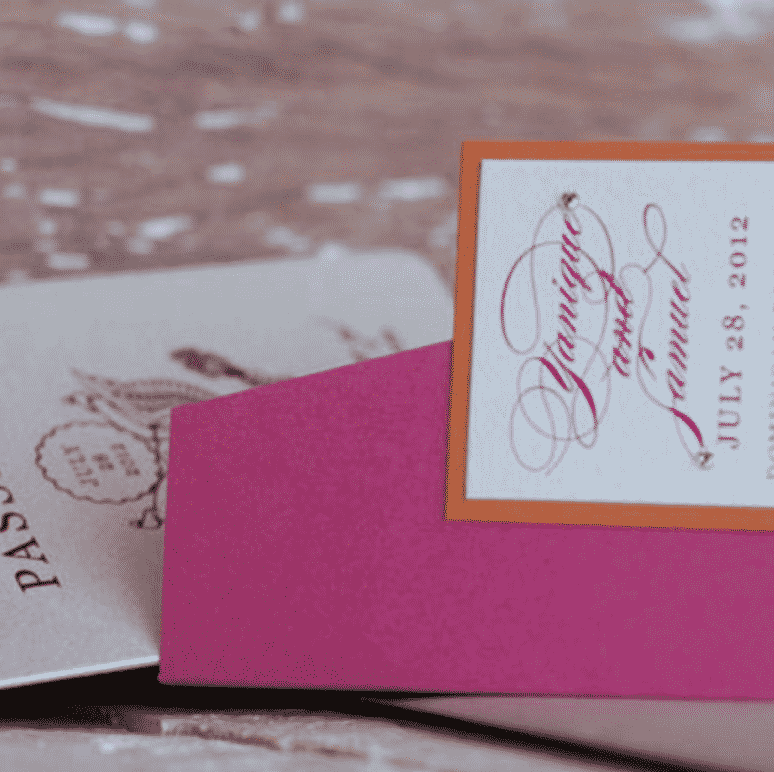 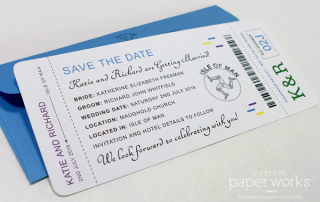 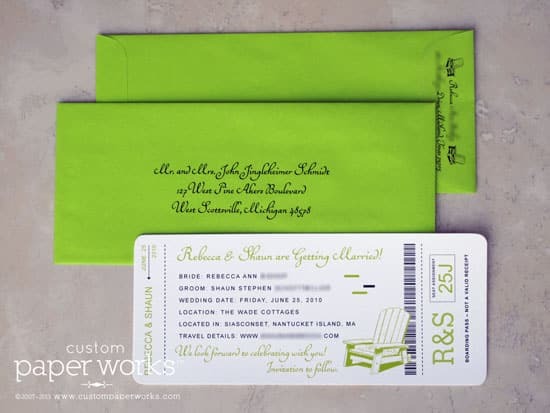 Single plane ticket cards are great as simple save the dates, while multiple card sets with unique wrap-around holders are perfect for invitations and save the dates that need to hold more information. 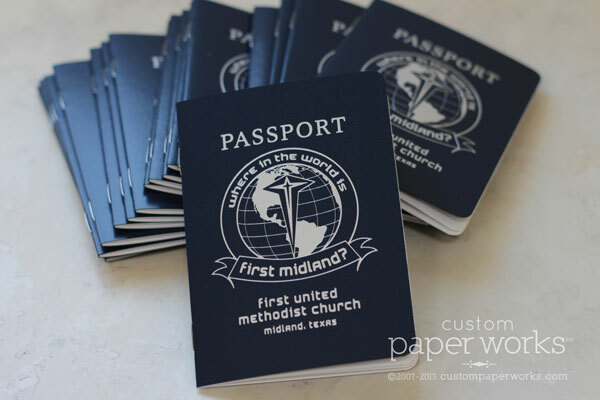 Customers have used them for tradeshow & conference passport raffle contests, church series information booklets, health care and elementary school curriculum trackers, college open houses, and MLM team training books. 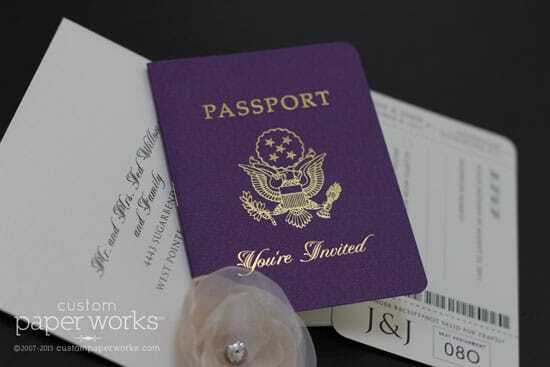 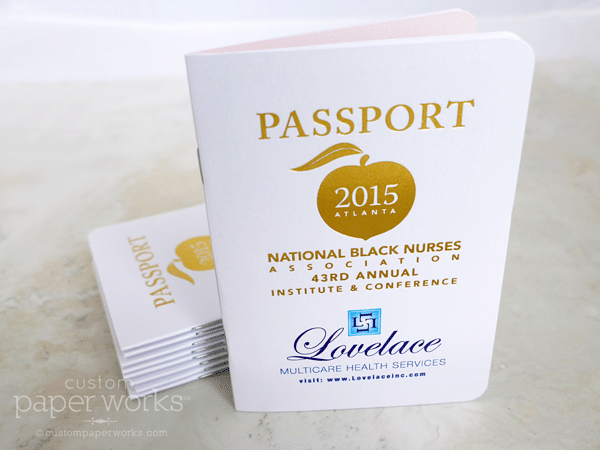 All are custom-designed for your needs and styled to work with existing branding. 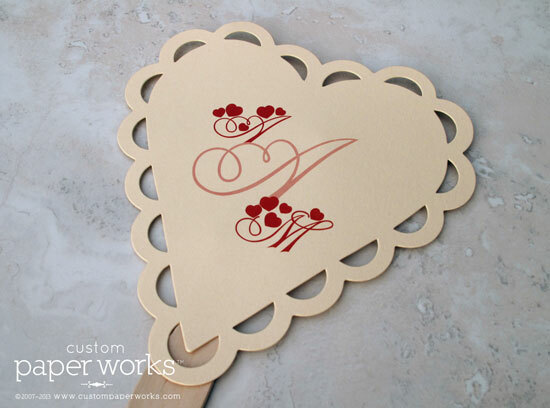 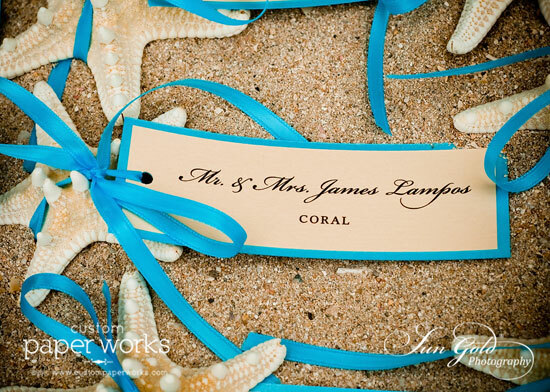 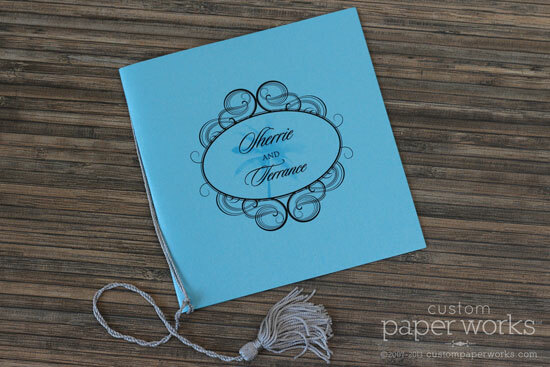 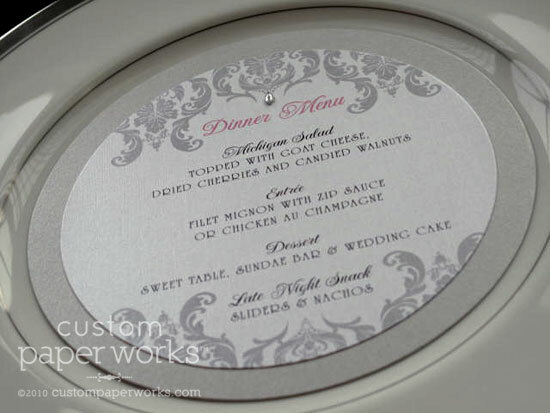 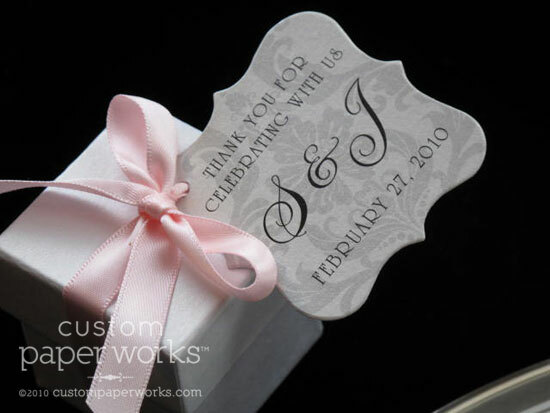 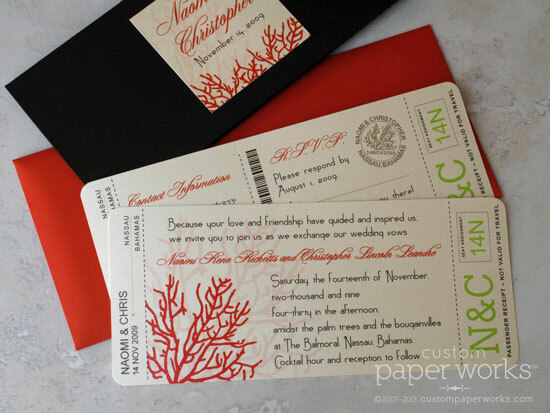 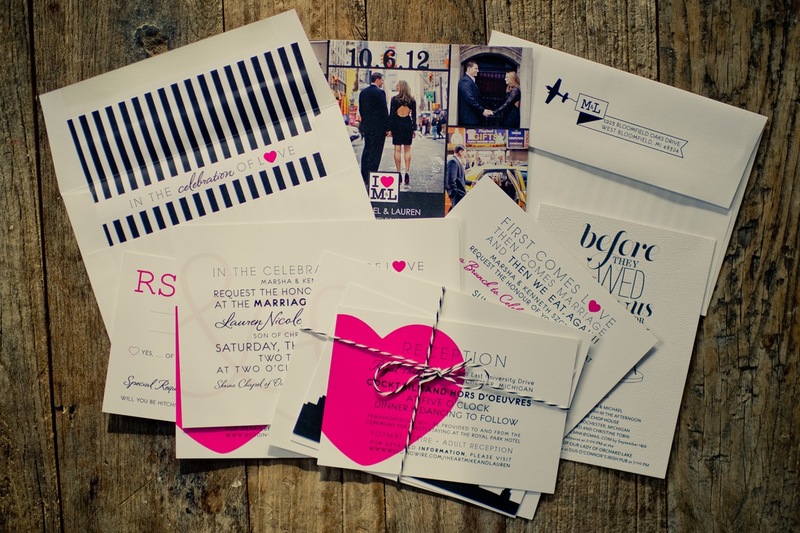 Have your wedding invitation custom-designed from scratch. 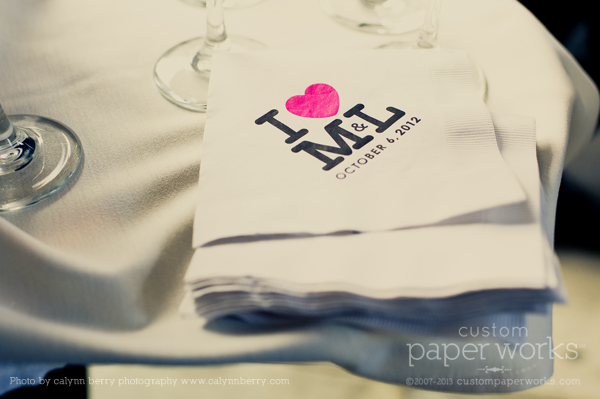 That’s what we specialize in, after all. 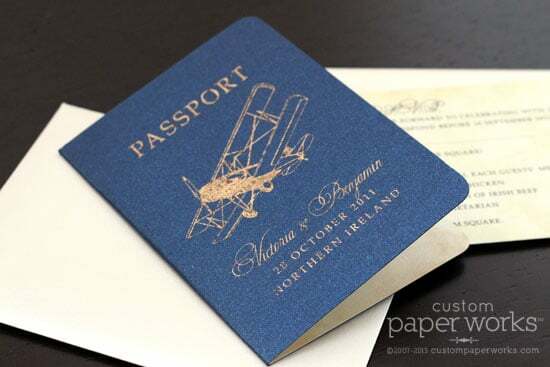 Take some inspiration from our previous designs, but let us know what is important to YOU so it can be worked into the design. 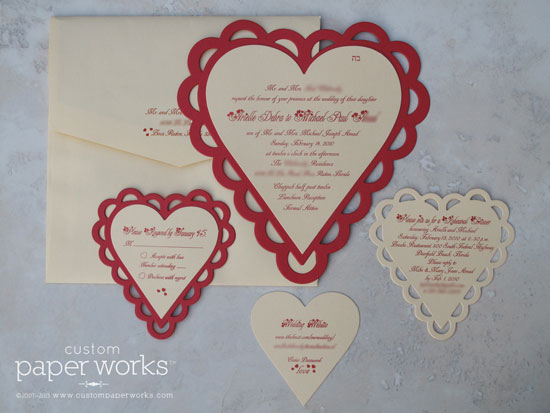 Designed to coordinate with your invitations or reception decor, wedding-day stationery is a great way to create a cohesive look for a memorable event.